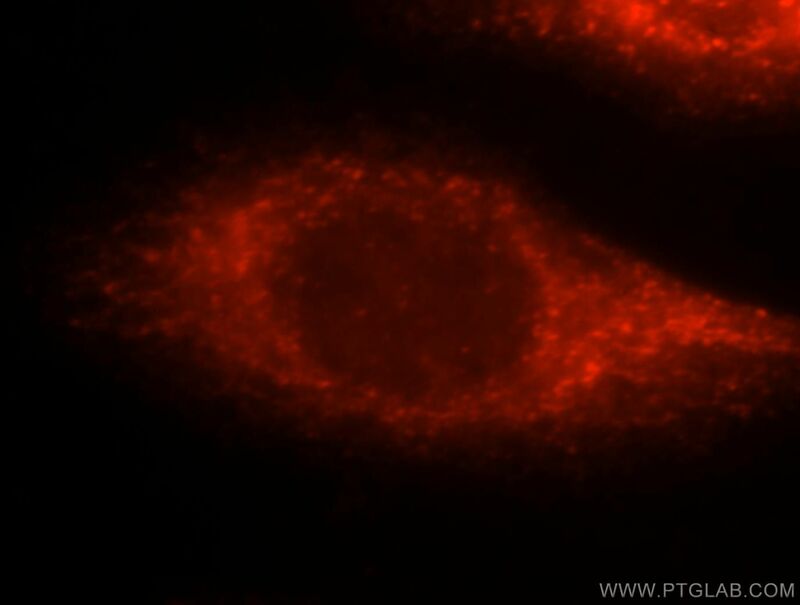 Immunofluorescent analysis of MCF-7 cells, using XIAP antibody 10037-1-Ig at 1:25 dilution and Rhodamine-labeled goat anti-rabbit IgG (red). XIAP, also named as API3, BIRC4 and IAP3, belongs to the IAP family. It has E3 ubiquitin-protein ligase activity. It mediates the proteasomal degradation of target proteins, such as caspase-3, SMAC or AIFM1. XIAP is an inhibitor of caspase-3, -7 and -9. It mediates activation of MAP3K7/TAK1, leading to the activation of NF-kappa-B. XIAP is an apoptotic suppressor. It is ubiquitinated and degraded by the proteasome in apoptotic cells. The MW of XIAP is 45-56 kDa. Blockade of Inhibitors of Apoptosis Proteins in Combination with Conventional Chemotherapy Leads to Synergistic Antitumor Activity in Medulloblastoma and Cancer Stem-Like Cells. BG-4, a novel anticancer peptide from bitter gourd (Momordica charantia), promotes apoptosis in human colon cancer cells. PCSK9 regulates apoptosis in human lung adenocarcinoma A549 cells via endoplasmic reticulum stress and mitochondrial signaling pathways. Phloretin induces apoptosis of human esophageal cancer via a mitochondria-dependent pathway. Proscillaridin A Promotes Oxidative Stress and ER Stress, Inhibits STAT3 Activation, and Induces Apoptosis in A549 Lung Adenocarcinoma Cells. 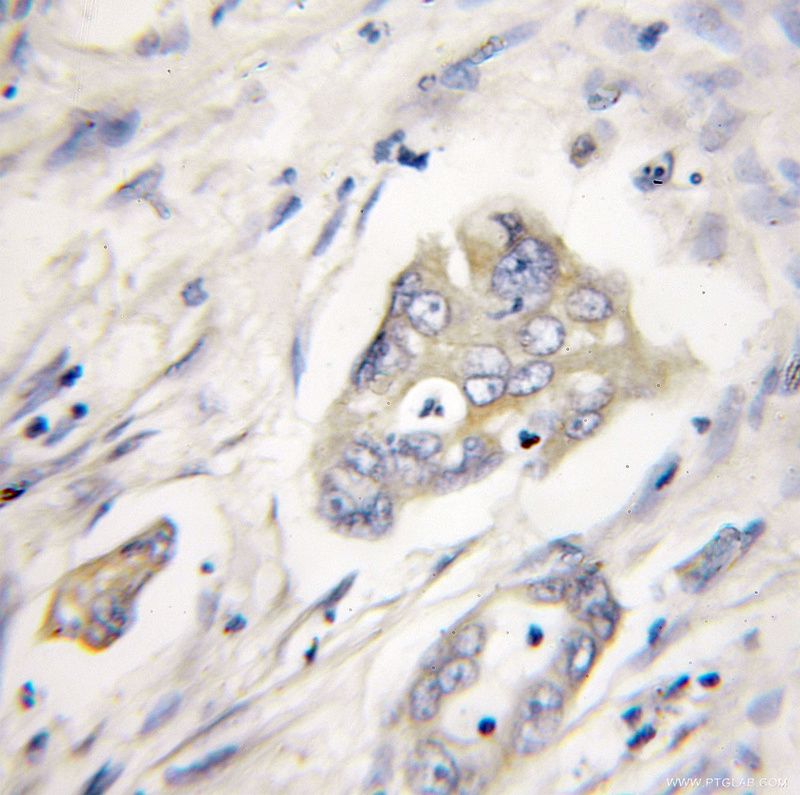 Targeting inhibitors of apoptosis proteins suppresses medulloblastoma cell proliferation via G2/M phase arrest and attenuated neddylation of p21.